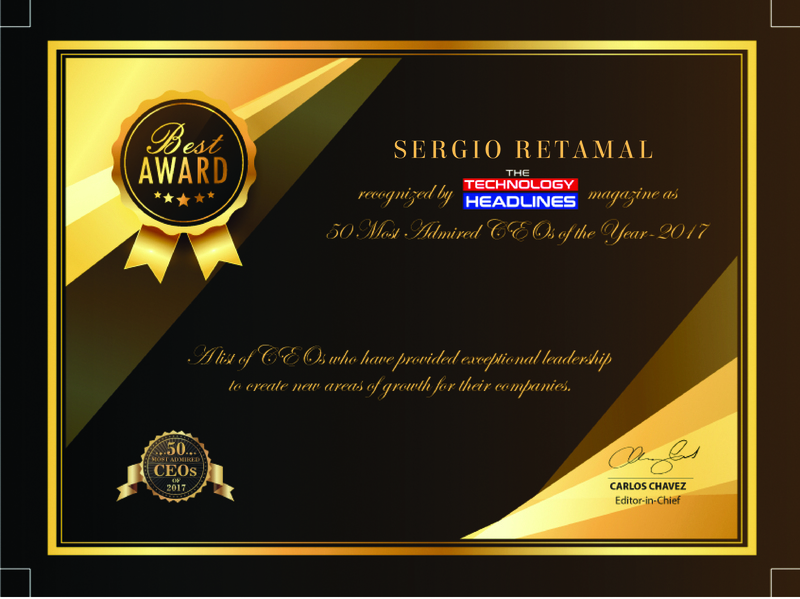 Global4PL's CEO Sergio Retamal of one the 50 Most Admired CEOs. Milpitas, CA, December 15, 2017 --(PR.com)-- Global4PL is pleased to announce that its President and CEO of Global4PL, Sergio Retamal, continues to be recognized as a leader in the supply chain and information technology industry. "I'm honored to be recognized among the amazing group of leaders who continue to inspire professionals in the business community to overcome entrepreneur challenges, help American companies grow internationally and put forth exceptional work and innovation," said Sergio Retamal, president and CEO, Global4PL. About The Technology Headlines: The Technology Headlines covers major industry trends in the U.S. and APAC markets, and is working alongside leading players to document the opinions and the expectations of the global tech community. It also supports the established players in the market to unveil a commercial launch of their new products through its knowledge platform. About Global4PL: Global4PL is a leading supply chain solutions provider that specializes in helping hi-tech companies penetrate new regional markets, optimize their supply chain delivery models, and reduce total supply chain costs below that of their competition.